Dofollow and Nofollow Attributes - When to add these? - Blogger I.Q. You are here: Home / Blog / Dofollow and Nofollow Attributes – When to add these? 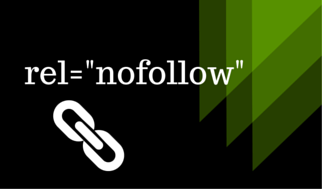 Dofollow and Nofollow Attributes – When to add these? I attempted to put my solo-brainstorm at work and the result is this post. Hope you find this solo brainstorm about rel=”nofollow” useful. What is a rel=”nofollow” attribute? A rel=”nofollow” attribute, in layman’s terms is, simply asking search engines not to follow a link that you’ve given in your blog post. Every webpage acquires certain PageRank in terms of Google search and crawl analysis, which gets passed and shared on to other links if you add them to your blog. This is also sometimes referred to as SEO juice. If you don’t want your SEO juice to freely pass on to other websites that are not worth it, you can simply add rel=”nofollow” attribute to that hyperlink. When to use rel=”nofollow” attribute? If you feel that you want to add a hyperlink to a website that you know for sure is good for nothing to your readers, then simply add a rel=”nofollow” attribute. What is a ‘dofollow’ attribute? ‘Dofollow’ attribute is just the opposite of rel=”nofollow”. In fact, the absence of rel=”nofollow” attribute is a ‘dofollow’ attribute. There is no need to add a dofollow attribute specifically to a URL. What does Matt Cutts, the head of Web Spam team, has to say about rel=”nofollow”? As per Matt Cutts, one can add rel=”nofollow” to specific links. Read more here. What do we gain by adding this attribute value? We actually are passing our good karma by NOT adding rel=”nofollow” attribute to our links. Thus, one must ensure that the good karma passes on only to deserving websites that are really useful to people. If not, just remember to add rel=”nofollow” tag. Apart from the Karma metaphor, you can also see it as a positive vote. Because, just like you, there could be many linking to a particular website. This is nothing but positive vote for that target link – which increases its value in turn – because Google thinks that if many people are linking to a website, then that has to be a good one. What do we lose by adding this attribute value? Nothing. By adding this tag, we lose nothing. In fact, this helps us in fighting web spam in our own small way – if you look at the larger scheme of things. Will this increase my PageRank? Adding ‘nofollow’ attribute actually doesn’t pass any PageRank juice to the target link that you’d added. What kinds of links should be marked as rel=”nofollow”? Any link that you feel is not a good resource for your blog reader. Is there a way to automate the rel=”nofollow” addition to my URLs using any plugin? How to add rel=”nofollow” to a hyperlink/URL manually? (Just so you know, href means Hyperlink Reference).